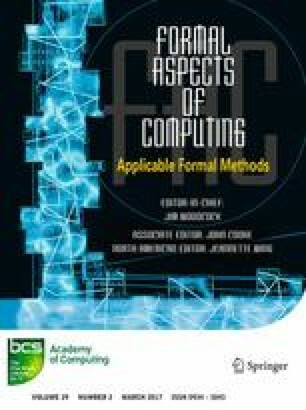 The main objective of this article is to present a complete finite black-box testing theory for non-deterministic Kripke structures with possibly infinite input domains, but finite domains for internal state variables and outputs. To this end, an abstraction from Kripke structures of this sub-domain to finite state machines is developed. It is shown that every complete black-box testing theory for (deterministic or nondeterministic) finite state machines in the range of this abstraction induces a complete black-box input equivalence class partition testing (IECPT) theory for the Kripke structures under consideration. Additionally, it is shown that each of these IECPT theories can be combined with random testing, such that a random value is selected from an input equivalence class, whenever a representative from this class is required in a test step. Experiments have shown that this combination increases the test strength of equivalence class tests for systems under test (SUT) outside the fault domain, while we show here that this randomisation preserves the completeness property for SUT inside the domain. The investigations lead to several complete IECPT strategies which, to our best knowledge, were not known before for this sub-domain of Kripke structures. The elaboration and presentation of results is performed on a semantic level, so that the testing theories under consideration can be applied to models presented in any concrete formalism, whose behaviour is reflected by a member of our semantic category.